The axis of symmetry is the vertical line that goes through the vertex of a quadratic equation. There's even a formula to help find it! 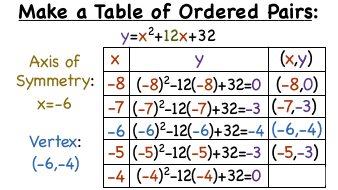 In this tutorial, you'll see how to find the axis of symmetry for a given quadratic equation.